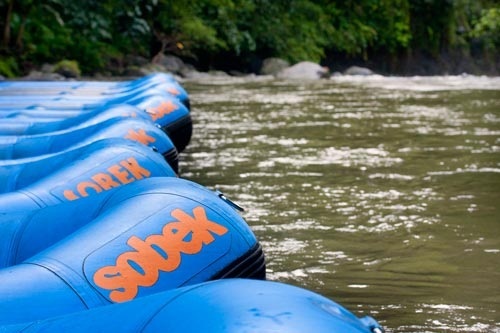 SOBEK pioneered White Water Rafting in the 1980’s and over than 20 years are known world wide for their safety and quality of product and the MARKET LEADER for White Water Rafting in Indonesia. 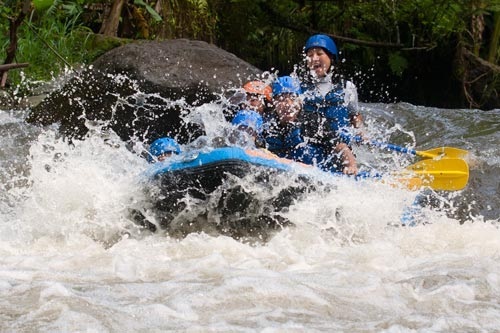 If you are thinking of taking a VACATION to Bali and looking for great action, fun and adventure all the way, whilst at the same time having peace of mind, then Booking SOBEK is the only OPTION you should consider.
" 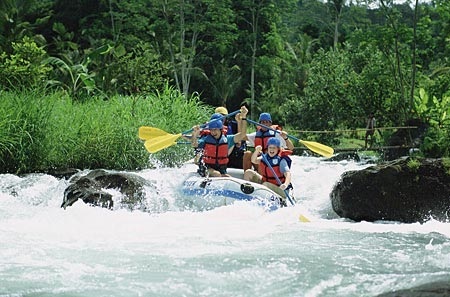 Safe and fun adventure "
SOBEK's Claasic two hour, visually spectacular rafting trip on the Ayung River , is a mix of excitement fun and breathtaking views.Carving through some of Bali's most fantastic landscape , Class II and III rapids wind through deep valleys, cascading waterfalls, dense tropical rainforest and towering cliffs. 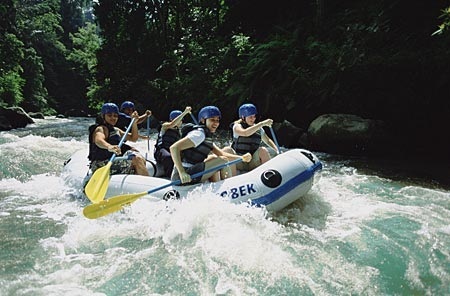 Sobek professional guides are experts in water safety and highly skilled in white water rafting techniques. An excellent lunch is served in our unique riverside garden restaurant.
" 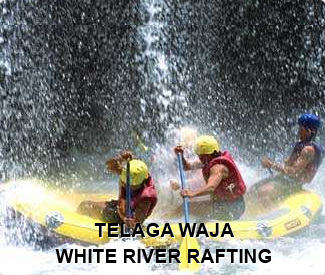 The Sobek's Telaga Waja River will Simply "
Step up to a greater white water challenge and raft the mighty Telaga Waja river. 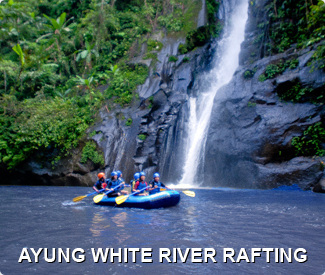 Class III+ rapids provide a continual spray of white water as you rush past steep banks and ancient hanging trees. 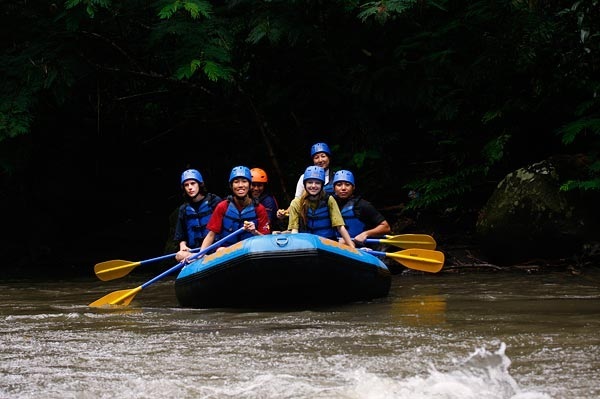 Winding through stretches of ancient rain forest and steep rock gorges, the Telaga Waja raft adventure really is thrill all the way. Trip concludes with lunch served at the restaurant before returning to your hotel. with detailed knowledge of customer safety requirements and the environment , mineral water, full changing room and shower facilities including towel and soap, and insurance coverage from ages 7 to 65 years old .